Our company is amongst the credible Manufacturers, Exporters and Suppliers of Electrical Motor from Mumbai, Maharashtra. The Electrical Motor, which we offer, is acknowledged amongst our buyers for its efficient performance and longer working life. 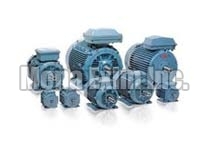 Though available in various sizes, the motor can also be customized according to buyer’s requirement. Customers can acquire small and large orders of Electrical Motor from us at highly competitive rates.